Corpus Christi School Mini Vinnies is the primary school branch of the St. Vincent de Paul Society. 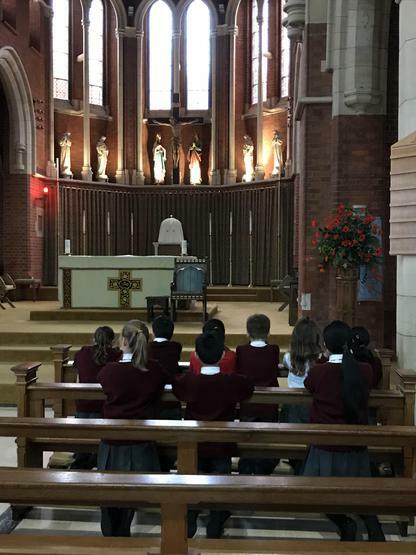 Over the last three years, the Corpus Christi Mini Vinnies have regularly joined together to pray for those facing hardship and difficulties in our local community. Bust, just as importantly, we also spend time discussing and organising whole school fundraising activities in order to support people around us who are struggling. We have met with some of the parish Vincentians and are tremendously grateful for all the support and guidance they have offered us. 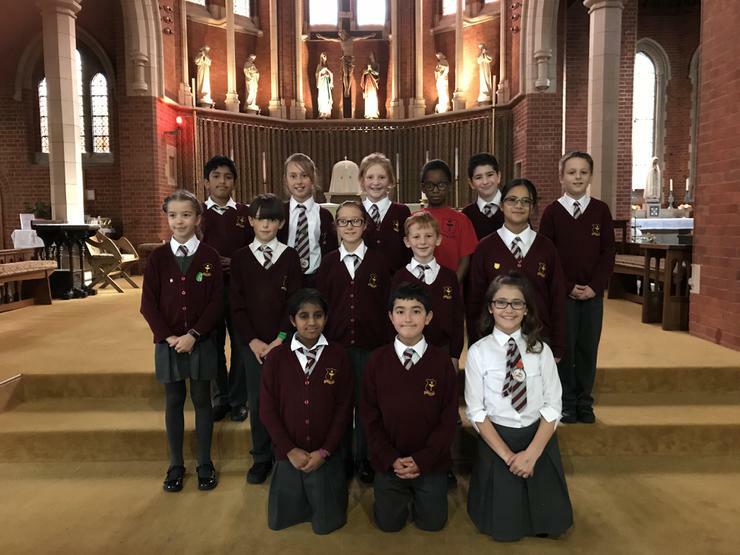 Last year, we produced and sold the first edition of our school newspaper, the 'Corpus Christi Times' and raised over £250.00, which the parish St. Vincent de Paul members used to help people in desperate need in our community. In addition to this, we also had a 'Winter Warmer' initiative which involved collecting hats, scarves, gloves, coats and wellies. 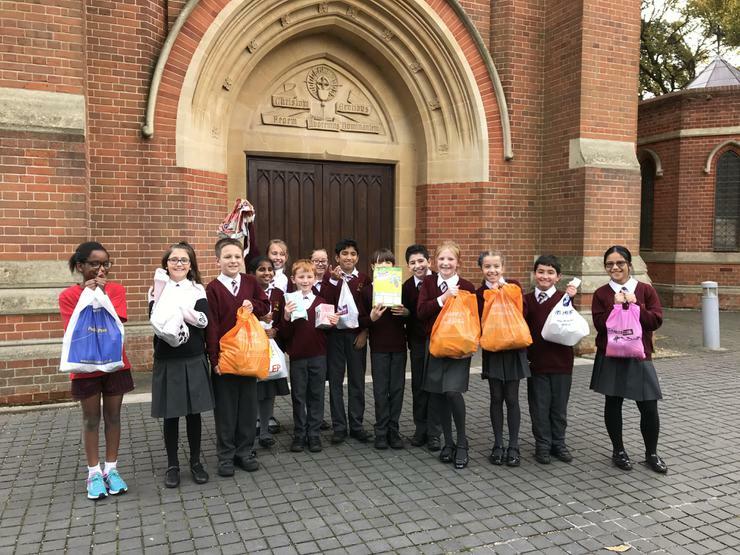 The children in our school donated more than thirty bags of good quality items meaning that fewer people in our community had to face the cold weather without adequate clothing. 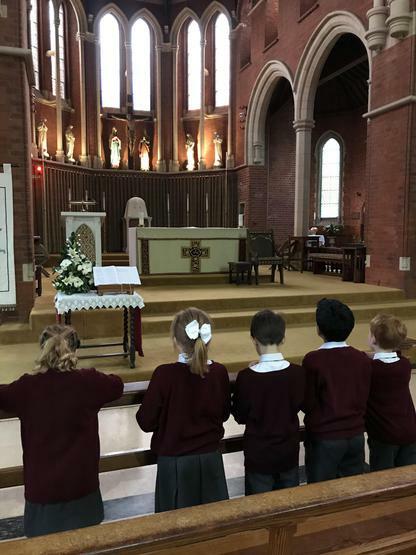 We also continue to encourage pupils to make weekly donations to the parish food bank and assist them in taking items into church each week. 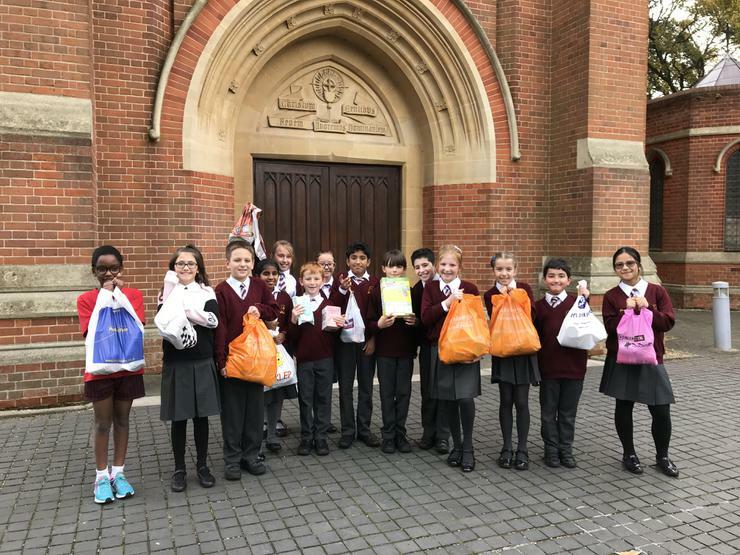 We are currently planning to promote the food bank further this term and will request that the children bring food and toiletries on a year group rota basis so that they are able to plan ahead for their donations. We are also considering other ways in which we may engage in fundraising so that we can contribute to the local SVP fund before winter sets in - we'll keep you updated! The mission of the Mini Vinnies is to 'Turn concern into action' and, by following our calling to ensure social justice, we hope to give food, warmth, integrity and a sense of family. We feel greatly empowered as a result of being able to demonstrate our living faith in action and look forward to working even more closely with Vincentians from our pastoral area in order to provide assistance to those who need our care, support and love. To finish, we would like to that you for your support and we look forward to working with you.